Bharat Electronics Limited is one of the biggest and well known company to work for in India. Bharat Electronics Limited hire both freshers and experienced candidates across India every year. 2. BEL requires 4 Mechanical Engineers and 4 Electronics Engineers on Contract basis for its Pune Unit. 3. BEL requires 2 Civil Engineers on Contract basis for a period of ONE year for projects in YADGIR district of Karnataka. 5. BEL requires M.E/M.Tech/MS professionals for its Naval Systems SBU, Bangalore, Hyderabad & Pune Units. 6. BEL requires Asst. Company Secretary for its Corporate Office. 7. Advertisement for the post of Technician 'C' and Engineering Assistant Trainee for EM SBU of Bangalore Complex. 8. Recruitment of Ex-Defence Personnel. 9. Outstanding professionals required in the field of Mechanical and Electrical/Electrical & Electronics Engineering for BEL's Navi Mumbai Unit. 10. Short-Term Apprentice Selection (2014-15). 11. BEL requires Engineer on Contract basis to be posted at Tripura for Components SBU, BEL-Bangalore. 12. BEL invites applications for the posts of Dy. Engineers for its Ghaziabad Unit on fixed term basis. 13. BEL invites applications from serving/retired officers of the Indian Air Force for the post of Deputy General Manager for its Ghaziabad Unit. 14. "BEL requires allopathic doctor (part-time) for its Ghaziabad Unit". 15. "Recruitment of Ex-Navy officers for Naval Systems SBU, BEL-Bangalore". 16. "BEL requires Corporate Panel for English to Hindi translation". 17. 'BEL requires Engineering Assistant Trainee and Technician-C for its Ghaziabad Unit'. 18. BEL requires Deputy General Manager(Legal). 19. Walk-in for recruitment of Civil Engineer on Contract. 20. Engagement of Technician Apprentices. 21. BEL requires Company Secretary for its Corporate Office in Bangalore. 22. 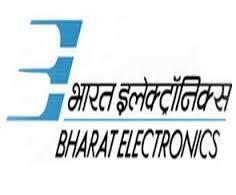 Bharat Electronics Limited, a Navratna Company & India's leading Professional Electronics Company requires Probationary Engineers-through GATE 2013.